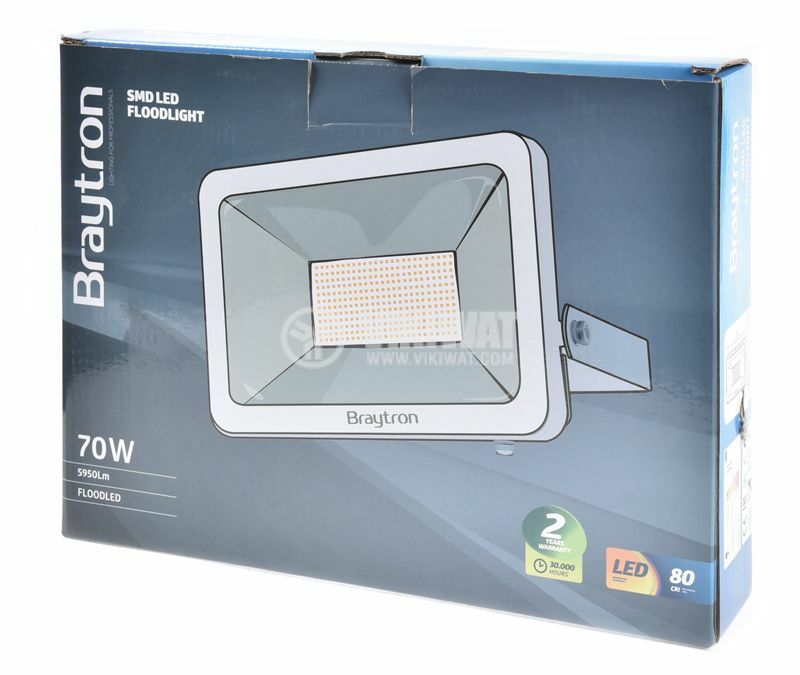 Energy-efficient and powerful, SLIM LED floodlight Braytron with power 70W and luminous flux 5950lm (lumens). Operating voltage 220VAC and soft, warm white lighting. Due to its high degree of dust and waterproof IP65, it is suitable for outdoor installation and illuminating large areas, warehouses and yards. 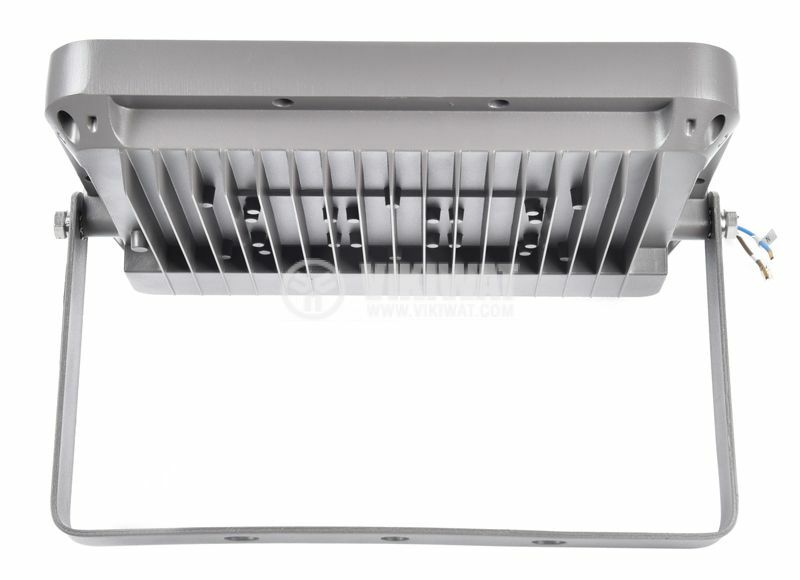 LED floodlights with dust and waterprotection IP65 are very suitable for outdoor lighting in yards, parking lots and social spaces. 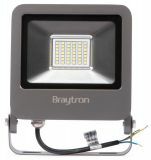 The floodlights with SMD diodes have an illumination angle of 120 ° which brings them as close as possible to traditional halogen floodlights but they are incredibly energy-saving. 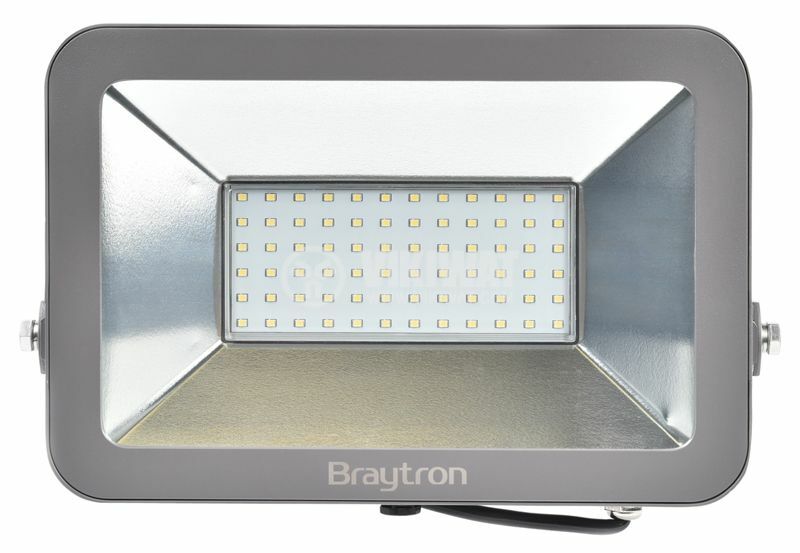 Braytron LED BT61-07002 has a power of 70W and delivers 5950lm light output so easily can replace halogen floodlights up to 700W. 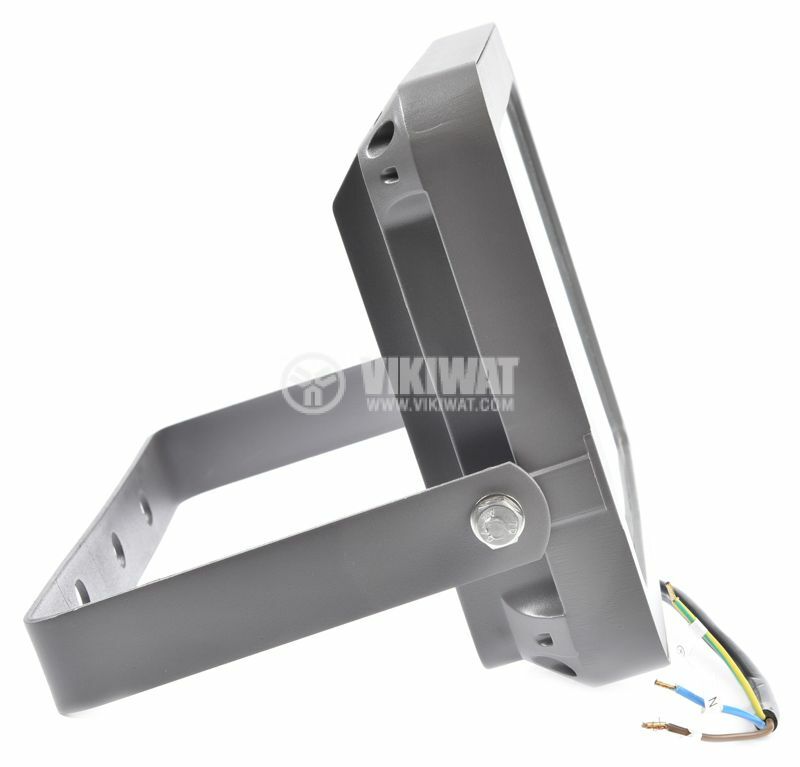 It is an ideal solution for main lighting in workshops and warehouses. The housing is made of aluminum and the glass is toughened and sealed, making them suitable for illuminating construction sites, garages, sports grounds with dusty and humid conditions. Thanks to their SLIM design this type of light sources do not take up much space and are practical choice of lighting. Lifecycle is up to 30,000 hours and the warranty is 24 months. CRI color rendering index (ability of light to reproduce natural colors) - Ra = 70. 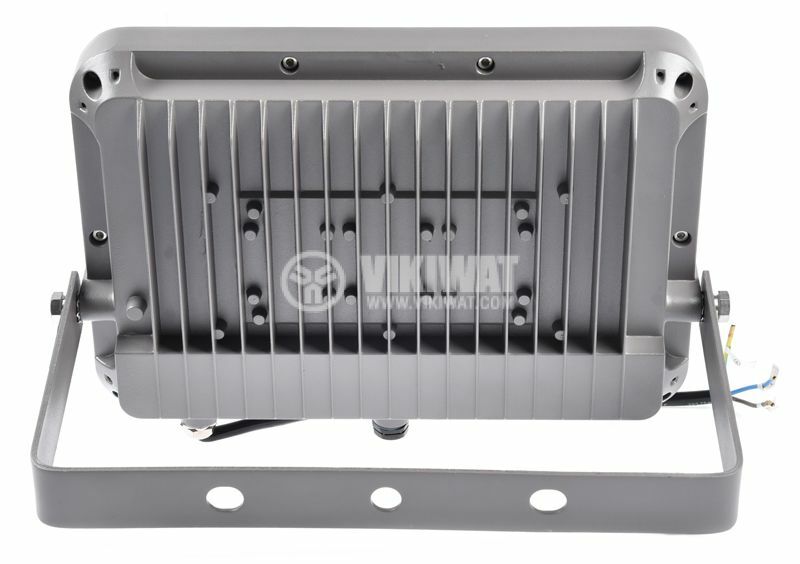 BТ61-07002 LED floodlight is NOT dimmable. 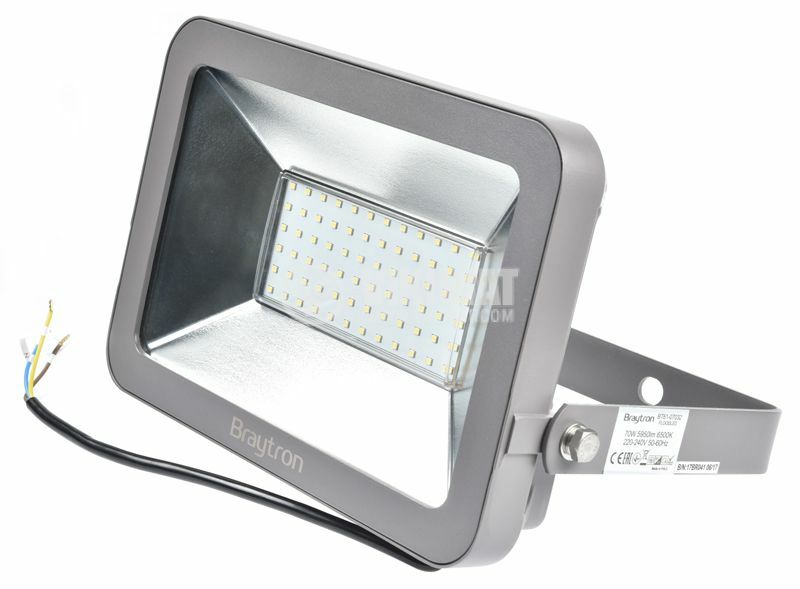 If it is used with a dimming device, it will irrepearably damage the LED floodlight.